Colors, numbers, letters, words, first science concepts, and more. Lots of basic, simple, skill-building rhymes, stories, and discovery board books - all with bright, engaging illustrations and simple text. 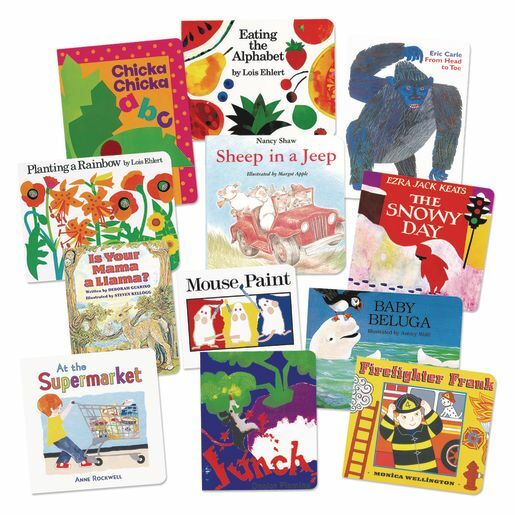 Collection of 12 board books.